ELECTRON MEC partners are high tech international market leaders. We can provide our customers with the ultimate innovations from all over the world. In a rapidly changing environment our stable and skilled team helps to preserve customers’ investments and manufacturers’ brand value. 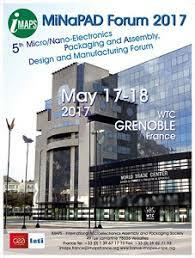 Meet Electron Mec’s Staff in Grenoble at MiNaPADForum 2019 the « Micro/Nano-Electronics Packaging & Assembly, Design and Manufacturing Forum » which be held in Grenoble, France, on WTC congress center on May 22-23, 2019. 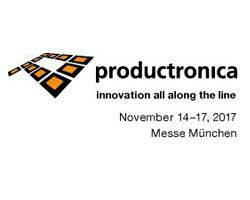 Meet Electron Mec’s Staff at Productronica 2017. The world’s leading trade fair will not just be a gathering for the industry’s decision-makers and innovators, but also for technology enthusiasts—and everyone who wants to be one. Meet Electron Mec’s Staff at European Microwave Week in Nuremberg. The exhibition will feature 300 international exhibitors demonstrating the latest in microwave innovations. It will provide an unrivalled opportunity for visitors to see and ask questions related to the latest products. We would like to inform you that as of Oct. 1st, 2017 Cascade Microtech GmbH will change its name, and begin operating under the name: FormFactor GmbH. Meet Electron Mec’s Staff at EMPC 2017 in Warsaw, the 21st European Microelectronics and Packaging conference and exhibition.